A unique wine made from fully matured grapes which are left on the vine until they reached a temperature of at least -7°C (19.4°F). The water in the grapes forms ice crystals, and after gentle pressing the remaining concentrate is made into an exceptional wine with elegant sweetness balanced by refreshing acidity. Intense apple aromatics with elegant sweetness balanced by refreshing acidity, hints of honey. Eiswein is a delicious wine to accompany various fruits and pastries but can also be enjoyed on it's own. 100% Grüner Veltliner. Christof studied Business Administration at Vienna University intent on pursuing a career in banking. 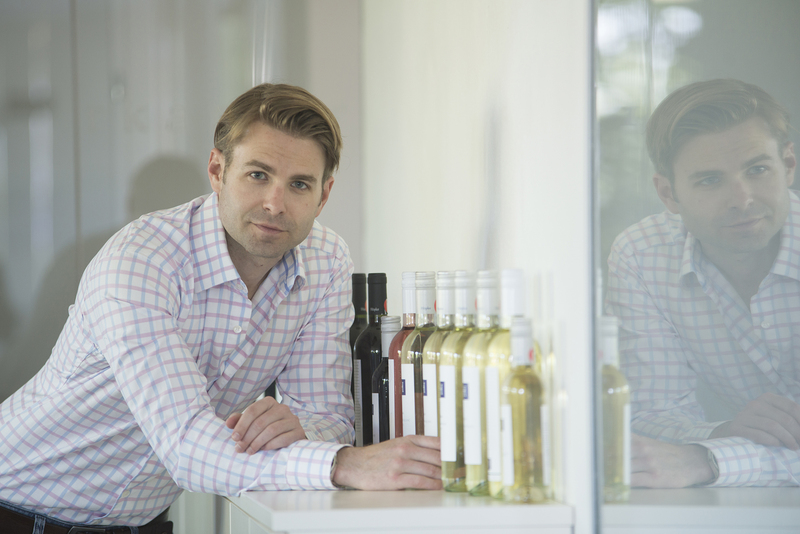 His astute business sense alerted him to the fact that working in his father’s wine business during his studies enhanced his financial and, naturally, his social quality of life. Founded by Jost Hopler in the 1980's, his son Christof (pictured) is now winemaker and runs the everyday operations of the winery. Their 50ha of vineyards lie in the Leithaberg Hills on the shores of Lake Neusiedl.